Former Arizona Sheriff Joe Arpaio, who lost his U.S. Senate bid in August, filed a lawsuit against The New York Times and one of its opinion writers over an opinion piece that he says contains ''several false, defamatory factual assertions" that he claims damage his chances of running for office again. Arpaio, 86, is seeking $147.5 million in damages, as well as attorney fees. The suit, filed with the U.S. District Court for the District of Columbia, alleges that New York Times writer Michelle Cottle purposely made malicious statements that would negatively affect a bid for the late Sen. John McCain's Senate seat in 2020. Arpaio ran for Sen. Jeff Flake's seat this cycle and lost in the primary. The lawsuit, first reported by Politico, claims the opinion was defamatory and interfered with Arpaio's "prospective business relationship with the National Republican Committee" and other donors and it painted him in a "false light." Cottle's op-ed was headlined, "Well, at Least Sheriff Joe Isn't Going to Congress: Arpaio's loss in Arizona's Senate Republican primary is a fitting end to the public life of a truly sadistic man". A spokesperson for the New York Times told Politico that the newspaper "intend(s) to vigorously defend against the lawsuit." Arpaio gained national attention for harsh tactics in dealing with undocumented immigrants, and he ran for Senate as an immigration hardliner and a Trump ally. 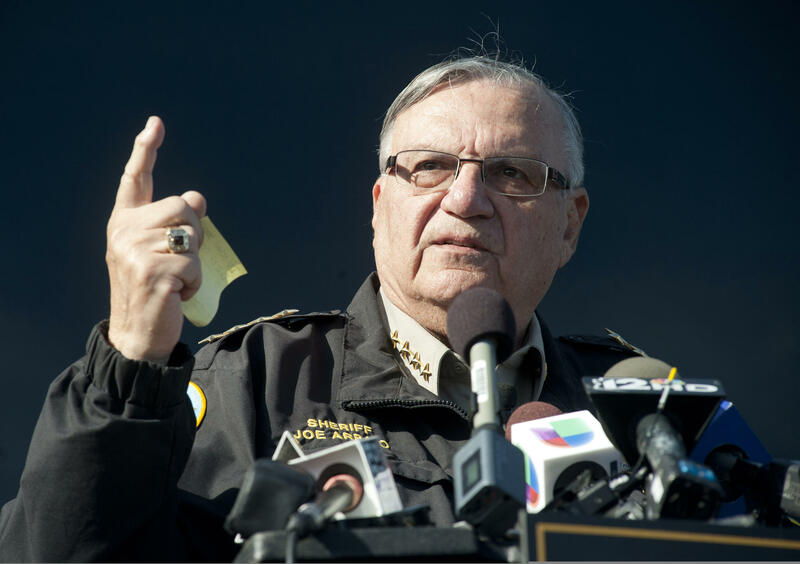 President Trump issued a controversial pardon of the former Maricopa County sheriff in 2017 for a criminal contempt-of-court conviction. In the Republican primary in August to replace retiring Sen. Jeff Flake, Arpaio finished third with less than 18 percent of the vote.